As the airplane set up on the final approach for landing at Kuala Lumpur International Airport, a vast jungle of palm oil plantations came into view. The loquacious passenger sitting next to me told me about Malaysia’s position as the world’s largest exporter of the culinary commodity. When I added that Malaysia was also the number one producer of tin, he smiled and proclaimed with great pride that Malaysia will soon be number one in many other fields too. “You will see for yourself in Kuala Lumpur,” as he hurriedly crossed his heart in Christian prayer, just before landing. He was of Chinese origin, and though his community mostly practised Eastern religions, his family had been converted by missionaries, he told me. Sensing my somewhat curious demeanour, he assured me that there was no problem in his country as far as religious diversity was concerned. Then, in an almost uncomfortable whisper, he said that sometimes racial issues do crop up, because, “we Chinese work harder and others get jealous”. 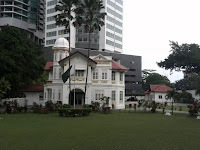 On my assurance that I was not one of the ‘others’ – for there are many South Asian settlers in Malaysia – he was much relieved, for he seemed to have realised his imprudence. After prompt completion of arrival formalities at the very modern and impressive airport terminal, I was driven 50-km away to my downtown Shangri-La Hotel, by a most courteous taxi driver. The modern high-rise buildings with Oriental motifs were a welcome departure from the commonplace concrete and glass structures. One could, however, also note that Kuala Lumpur was driven by the universal corporate insatiability, and it would only be a matter of time before it got stuck in the mires of modernism like other ‘global cities’. In-processing at the hotel was very swift and professional, as would be expected in a city much frequented by tourists. Namaste-like salutations, with palms touching together, were common as in much of Far East. 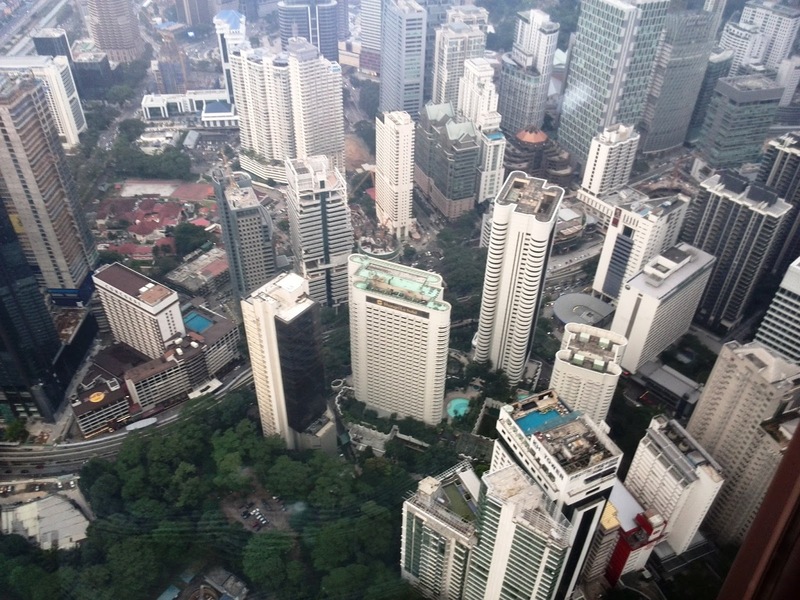 I was in Kuala Lumpur as part of a group participating in a South Asian Security Conference. Expecting to be mostly stuck in the conference rooms, I decided to go sightseeing while I was free and the weather was good. The sooner I had stepped out of the hotel, a cloudburst opened up a heavy downpour, and drenched me as I huddled under a covered bus stop. The spell of thunder and rain lasted just fifteen minutes, and the sun was out soon again in a peek-a-boo monsoon game. Walking on Jalan Ampang (Ampang Road), I was quick to spot the Pakistan flag flying on a splendid little colonial building, complete with a terra-cotta tiled sloping roof and a turreted cupola. It was the Pakistan High Commission, undoubtedly an architectural gem amidst some tall hotel buildings. We were later hosted by the High Commissioner, H E Syed Hassan Raza, whose encyclopaedic knowledge about any subject, included a complete history of the High Commission building, as well his own residence. Walking further, the iconic Petronas Towers came into view. I carefully framed the famous building with some palm boughs in the foreground, and tried a ‘selfie’ which had more of my face than desired. I requested two passers-by if they could help with the picture. They were smartly dressed and looked like Iranians but they communicated in what sounded like Pashto. On inquiry they surprised me in chaste English that they were Pakistanis, which immediately resulted in warm handshakes and small talk by the roadside. I was even more surprised when they told me that they were ordinary labourers, for I had taken them to be university students. They resignedly told me that it was ‘kismet’ that brought them to Kuala Lumpur, but they were happy as things were much better than in the Gulf, where one of them had done some drudgery for an year. True to their Pathan credo, they insisted that it was respect that mattered not ‘paisas’. On the way back I went past the sprawling KL City Park, with its picturesque Lake Symphony beckoning an early morning visit, as the evening weather was getting sultry after the rain shower. The park was a study in harmony and order amongst the human species, with every community intermingling without any fuss. It was a wonder that no litter, not even a small wrapper, could be seen anywhere. An efficient municipality had ensured that Kuala Lumpur could easily vie for cleanliness with the famously disciplined Singapore. Having been founded around 1857 as a tin collection and distribution town serving the nearby Ampang tin mines, Kuala Lumpur has rapidly transformed into Malaysia’s economic, business and financial centre. The numerous banks and five-star hotels testify to the international business interests and investments in the country. 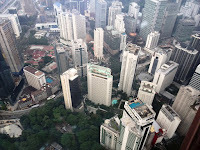 Kuala Lumpur is also host to many multi-national companies' regional offices, particularly for finance and accounting, and information technology functions. The modern face of Kuala Lumpur is evident everywhere, but the traditional side thrives in the famous Chinatown on Petaling Street. I decided to take a look at this famous locale, where pirated wares, CDs and DVDs, counterfeit watches (besides the regular authentic stuff) are on offer, and haggling is the norm. The evening crowds and the sultry weather can be a bit suffocating, but nerves never fray as the people, especially shopkeepers, are extremely polite as I found out during my short stroll in the area. I was looking forward to the Friday prayers, more out of curiosity about the religious mores and behaviour of the Malaysian Muslims. 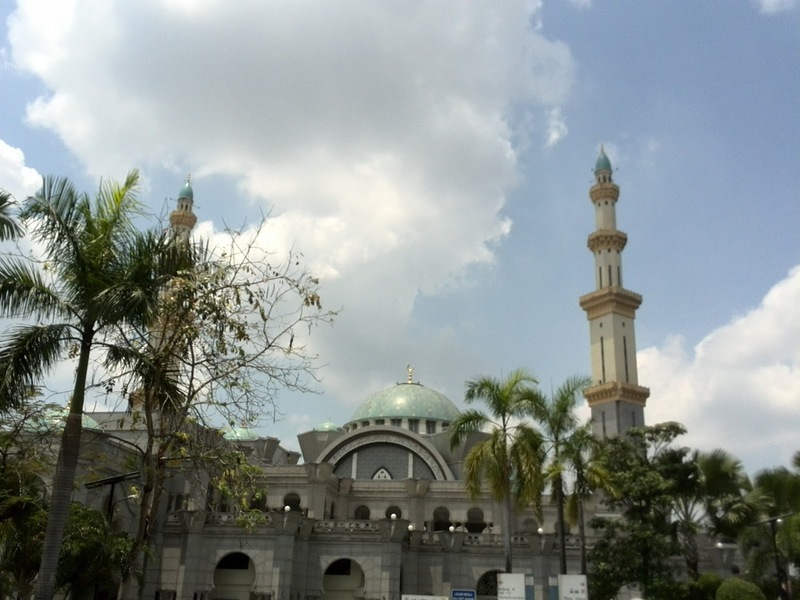 Our group of five Pakistani delegates hired a taxi to the Wilayah Persekutuan Masjid (Federal Territory Mosque). A large multi-storeyed complex, the mosque is surrounded by gardens and small lakes. Though well-embellished in marble and wood carving, the grotesque structure can be heavy on the eyes. The sermon started in a fashion that we in Pakistan are not used to at all. The imam would read out a few sentences from the Quran, which was followed by a slow and clear translation in Malay language. The translation was also displayed on large projection screens inside the spacious mosque. Later, just before the start of prayers, notifications about any funeral prayers and scheduled weddings in the mosque’s community centre were displayed on the large screens. After the prayers, we were introduced to a pleasant custom of handshakes and a short greeting by the adjacent ‘namazis’, as we do annually, only on Eid. We also learnt that other than Juma prayers, many women join in the congregation prayers in the mosque. In fact, a day later, I saw two young women riding a scooter, who parked it outside a mosque and went in for the evening prayer. Besides mosques, there is a profusion of Buddhist and Hindu temples and some churches too. 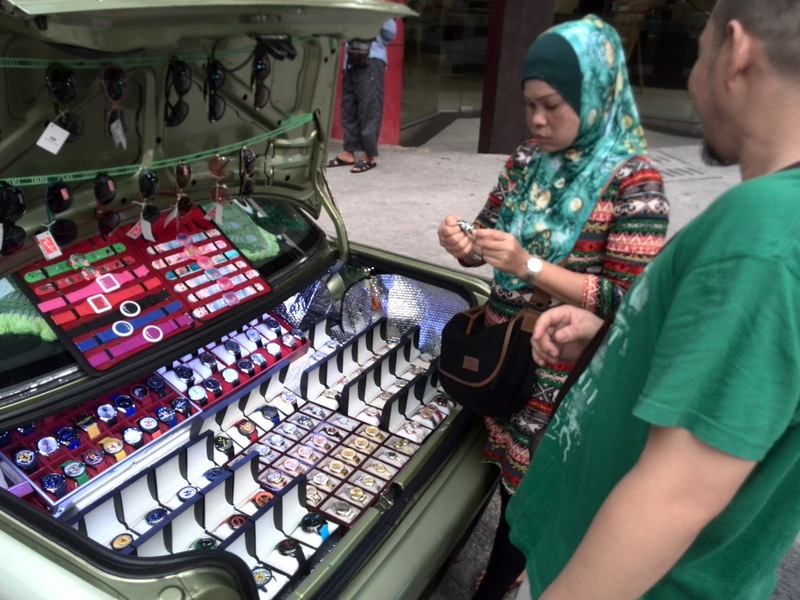 In Kuala Lumpur, the Muslim Malays number about 50%, Chinese Buddhists are about 35%, while the remaining Indians and other indigenous people include a smattering of Hindus, Muslims, Christians and Sikhs. I noticed that religious beliefs of all communities are highly respected both at the government and individual level. We happened to be visiting in the midst of the Chinese New Year celebrations, this being the Year of the Goat. All religious communities enjoyed the festivities with relish, as we could see. 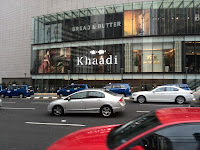 Having heard about some famous shopping malls -- which number over seventy huge ones in Kuala Lumpur alone -- a few of us decided to go around the Bukit Bintang (Starhill Walk) area. Some of the famous malls that are located here include the Pavilion KL, Berjaya Times Square, Starhill Gallery and the Sephora Duplex. Perfume-drenched rich Arabs who frequent these malls the most, seemed at home in the chic fashion houses and mouth-watering eateries. The former prime minister Mahathir Muhammad’s own bakery, ‘The Loaf’ is located at the entrance of Pavilion. 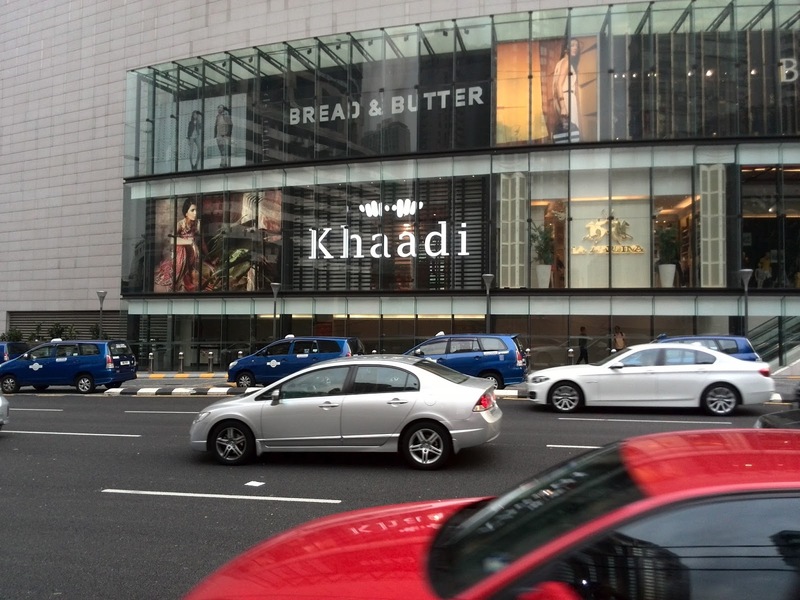 We were pleased to see our very own ‘Khaadi’ clothing retail store in the upscale Bintang area. 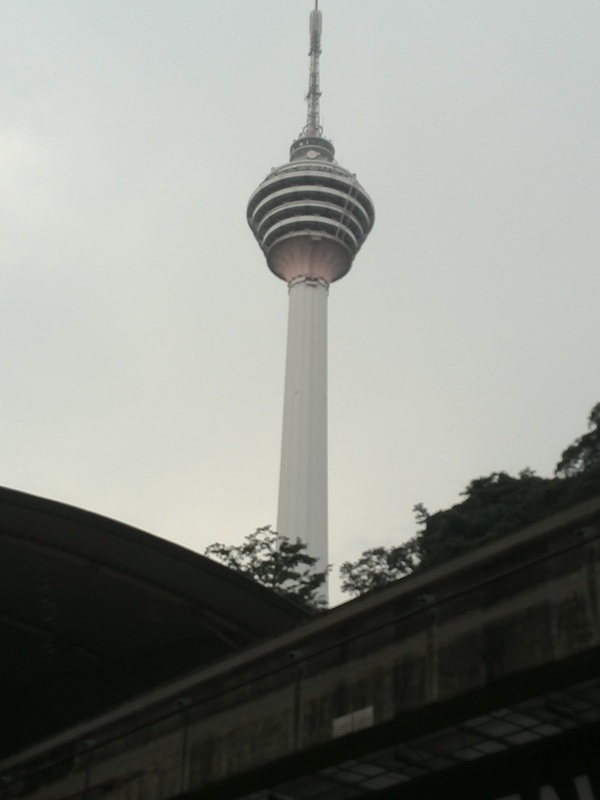 One week in Kuala Lumpur passed by quickly, and at the end of the conference, we had a farewell in the restaurant atop the Kuala Lumpur Tower, commonly called KL Menara. We arrived before sunset to catch an all around view from the highest vantage point in the city. It was amazing to see high-rise buildings all over, with the few empty spaces filled up with public parks. If the slowly rotating restaurant restaurant did not make us dizzy, the gluttonous riot at the dining tables did, and we had to fend our way back to the hotel on wobbly knees. From a pioneering tin trading town, Kuala Lumpur has transformed itself into a thriving modern city. It seems to be headed in the same capitalist direction like other major Western cities, but with a difference. Races and religions intermingle without any hassle, and Kuala Lumpur, as much of Malaysia, is the perfect example of tolerance and co-existence, something that we in Pakistan would do well to learn more about. This article was published in the daily newspaper The News International on 20 September 2015.